The hosts took a 7-0 lead with a breathtaking try from Euan Govier, then the visitors responded with a penalty. 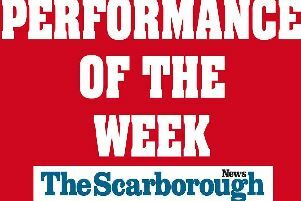 Scarborough then went 14-3 ahead with a Ben Martin try but all the credit should go to the power of the pack as they pushed over from five metres. A quick tap penalty from Jordy Wakeham then gave Drew Govier the easy task of touching down as Scarborough eased to a 21-3 advantage. Another lightning break from the hosts and fine work from Jimmy Perrett saw Aaron Wilson go over the corner, and at 26-3 the home side had earned a bonus point. Park hit back with a converted try to make it 26-10, then a Tom Ratcliffe penalty made it 29-10 at the interval. The visitors roared into contention after the break with another converted try and another unconverted try shortly after made it 29-22. 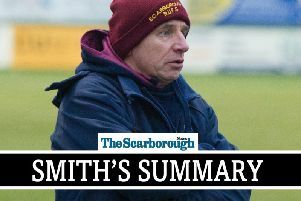 Park then scored another try to level and a late penalty looked to have earned them a shock 32-29 win, but an 80th-minute try from Sam Dawson saw Scarborough claim a crucial win, especially with closest rivals Morley slipping to a surprise 29-24 loss at lowly Cleckheaton. This win now puts Scarborough six points clear of third-placed Morley, and with just two games left to play, away at Malton & Norton next weekend and then at home to Bradford & Bingley in their final league game of the season.